On april 3 goes on sale the first ecrossminton game, a minority sport that is on expansion around the world. Daydream Software is the canary company that has developed eCrossminton, an exclusive videogame in the sports genre market. This company decided to make a videogame of this sport because there was a market to exploit as it is a new sport that is in the process of growth. In this way, physical sports and videogames would be supported in order to create visibility to as many people as possible around the world. Thanks to the initiative of PlayStation Talents, who chose Daydream Software—among other teams—for the development of a video game for PlayStation 4, they have been able to get here and have the possibility of launching a game on that famouse and used platform . 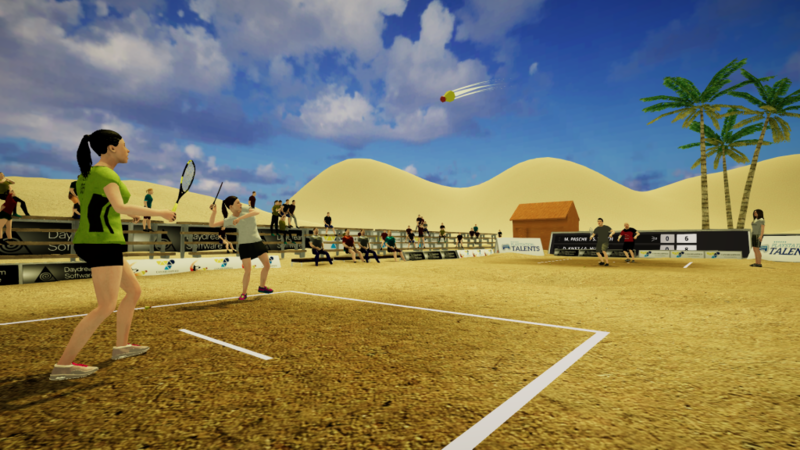 eCrossminton is the first official console crossminton videogame, an exciting, frantic and innovative racquet sport without a net. ​It has multiple game modes: tournament and leagues of individual or doubles matches, as well as intense minigames up to four players and a challenging arcade mode. This game offers to experience with more than twenty professional players, available with their own attributes and skills, besides several scenarios to play with split or fullscreen. After a year of development by Daydream Software, this April 3, 2019 finally goes on sale eCrossminton in the PS4 digital store. It is expected that the game itself will generate its brand and create the difference between the best-known racket games, trying to break through in this very competitive industry.